I've had almost a week of sunrises and sunsets until today. 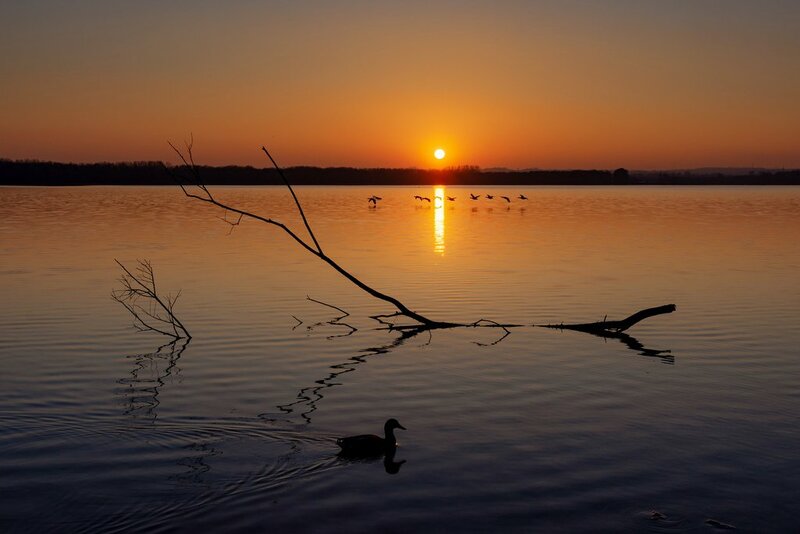 So this is one from Wednesday at Rutland Water. They had been clearing one of the banks of vegetation and had left this large branch in the water for me to photograph! Superb shot. Fav. I think that we've seen the last of decent sunsets for a while. Storm Freya is on the way! Great shot, such good timing! Just the best so far! Terrific capture and beautiful tones. Absolutely gorgeous color and nice composition. How kind of them to leave you such a prop!